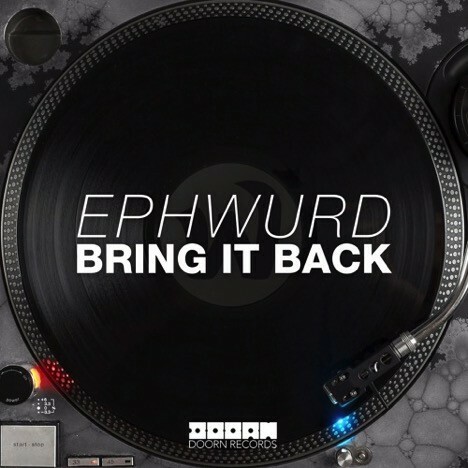 Ephwurd made their mysterious debut as a duo in May and it wasn’t long before the people behind this new project were revealed – dubstep/electro artist, Datsik and his tour manager, Bais Haus. Their first release was a remix of Major Lazer’s ‘Lean On’ and then only a few months later they released their biggest original: a collaboration with Jauz on ‘Rock The Party’. ‘Rock The Party’ has done well for Jauz and Ephwurd and has nearly reached six million total plays on Soundcloud and YouTube. Ephwurd’s follow up, ‘Duckface’ was possibly one of autumn’s biggest hits and lead into their debut performance on the main stage of Insomniac’s Escape: Psycho Circus Halloween festival in October. Look out for a run of live dates to start off 2016. ‘Bring It Back’ is out now on Doorn Records, check it out below.